Yesterday we brought you details of the opening round the Dublin Senior A Hurling Championship. And of course we can’t forget that next Saturday April 6th sees the start of the Senior B Championship. Twelve teams will compete over five rounds between April and July before a break for the Inter County Championship. There are two groups consisting of six teams. St. Patrick’s Palmerstown finished bottom of Group 1 in last year’s championship and will be facing Crumlin, who dropped dow from Senior A after last year to it’s anyone’s game. Pats won two of their five group games. Crumlin’s fortune was one draw and two losses from three. A very interesting first round pairing with Crumlin obviously looking to bounce back from relegation. The action will be at 6:00pm in Pearse Park on Saturday, April 6th. 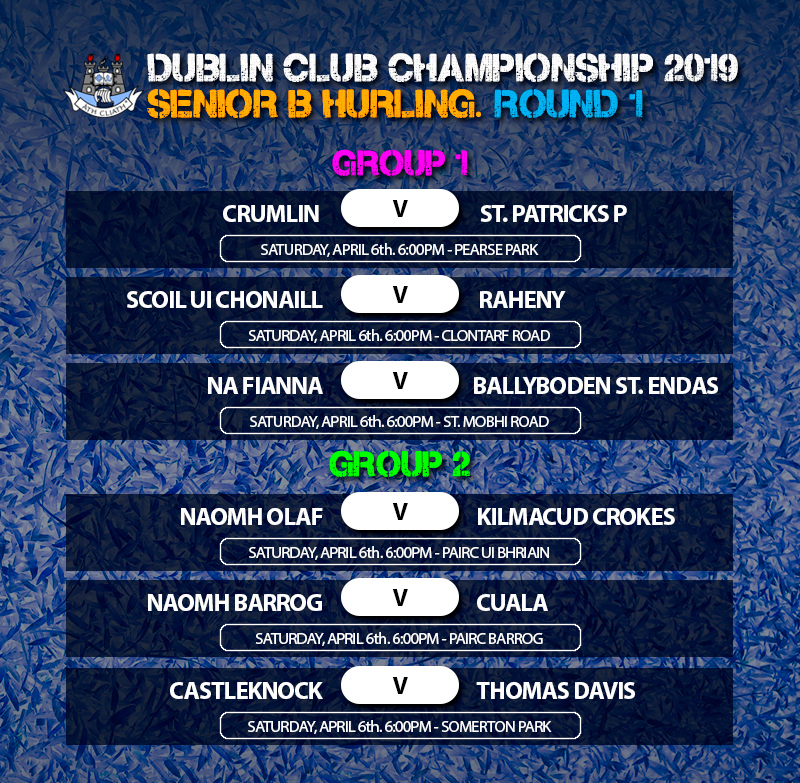 In the second Group 1 game Raheny, like Crumlin will be looking to get back to Senior A hurling as soon as possible, and start their campaign off against Scoil Ui Chonaill, who start life as a Senior Hurling team. Another interesting pairing. Raheny struggled last year losing all three group games. And Naomh Fionnbarra sent them down in the relegation playoffs. 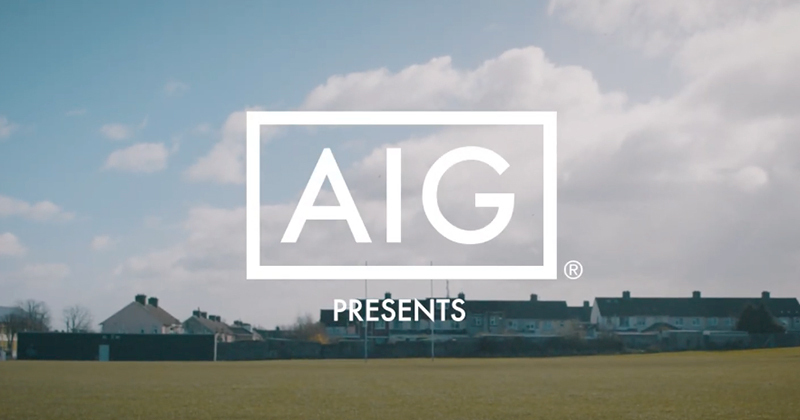 Scoil’s Clontarf Road base will be the venue as these two local sides face off. 6:00pm Throw in also on April 6th. Na Fianna and Ballyboden’s Senior B sides are paired in the same group again this year. In their Round 2 game last year the Mobhi Road men were 2-15 to 1-10 winners, but you can never rule out Boden and these two sides will battle it out. Mobhi Road is the venue again this year. And it’s another April 6th 6:00pm Throw in. Kilmacud Crokes finished mid table in Group 1 last year and start their Group 2 campaign against Naomh Olaf, who only had one round win in 2018. They left it until the last round to beat Parnells and will be hoping they can improve. Crokes only got wins over Round Tower Clondalkin and St. Oliver Plunkett Eoghan Ruadh last year so they’ll be looking to make the perfect start. Pairc Ui Bhriain is the venue with a 6:00pm Throw In.